I was a child of the 70s. And so, I loved original taco flavor Doritos. And pixie sticks. And strawberry milk, Nesquik style. You know, from a powder. Which I guess they still make by the way. I see that strawberry Nesquik now gets its red color from beet juice powder, which is a vast improvement over the Red Dye #3 I’m sure they were using back in the 70s. Even so, I’m not super into my kiddo drinking something where the first 2 ingredients listed are sugar and “natural flavor.” Because we all know “natural flavor” isn’t a regulated term right? It could mean basically anything, including artificial flavors. 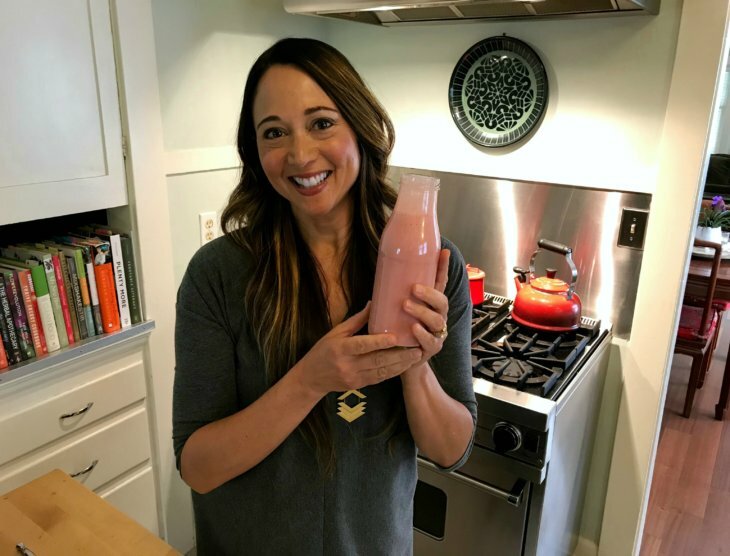 Which brings me to today’s recipe: Strawberry Milk. It’s delicious, creamy, and full of real-deal natural flavor. In other words, from pure, 100% real strawberries. 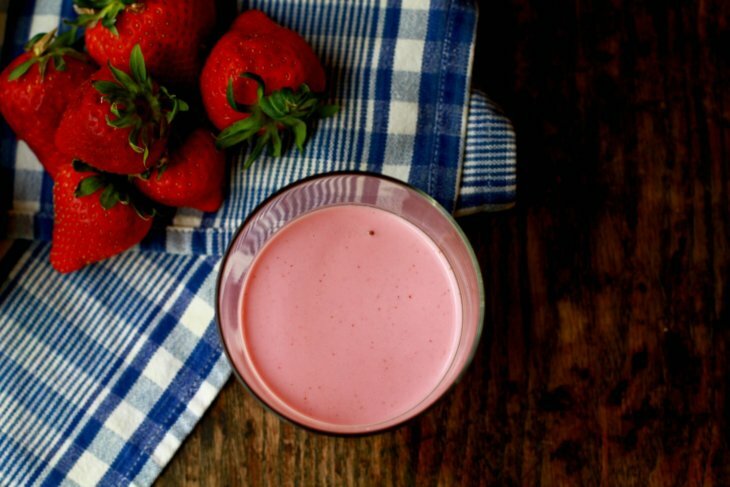 This recipe is especially good when your local strawberries are in season. Here in Oregon, our strawberries are lumpy, delicate, and homely — but boy are they sweet. And they’re absolutely perfect in this easily prepared Strawberry Milk. Add the drained nuts, date, and water to your blender container. Blend until creamy and smooth. Strain with a nut milk bag or paint strainer, and discard or compost the nut pulp. Rinse the blender container to remove any remaining pulp. Then, pour the strained nut milk back into the container. Add the berries, rose water, and rhubarb (if using). Blend until creamy and smooth. At this point, you could strain the mixture through the nut milk bag again. Or, you could forego the straining if you don't mind a little extra thickness (I don't). Pour the mixture into a glass jar and store in the fridge. It should keep for 3-4 days. The milk will separate a bit in the fridge, so just give it a shake before you're ready to enjoy.